ZALORA NOW is a subscription program that gives you unlimited express shipping* for 1 year along with exclusive offers from ZALORA and our partners. To check ongoing partner offers, click here. * Only for express-shipping applicable items (marked with the ), and to shipping addresses within our express delivery coverage areas (you can check them out here). To read more about ZALORA Now, click here. To track your order, you can click here. If you already have your tracking number, you can track your package on your courier's tracking page. For more details, check out the FAQ article here. Can I make a delivery request? 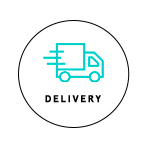 If you have any delivery requests, you can contact our friendly customer service via hotline at (02) 858 0777 (Monday to Friday: 9am - 6pm; Saturdays: 9am - 5pm . Take note that we cannot guarantee any requests as these are fulfilled by our couriers, but rest assured we will do our best to fulfill them! To check your order details, you can go to the "My Account" tab and click on "Track My Orders", or click on this link. I need to change my delivery address! If you want to change your delivery address, you can contact our friendly customer service via hotline at (02) 858 0777 (Monday to Friday: 9am - 6pm; Saturdays: 9am - 5pm) and we might be able to tweak your order for you. If your order has already been packed and shipped, we won't be able to make anymore changes. To check the status of your order, click here. If you have more questions, you can contact our friendly customer service via hotline at (02) 858 0777 (Monday to Friday: 9am - 6pm; Saturdays: 9am - 5pm) or send us a message via Live Chat or Facebook Chat (Monday to Friday: 11am - 7pm). To return or exchange your item, you can fill up this form. Once filled out, pack your item in it's original product packaging with the ZALORA invoice (for items sold by ZALORA) or the sales invoice and original receipt issued by selller (for items sold by Third Party Sellers). You can now either drop it off at any Click & Connect Site, LBC or 2GO branch, or select 7-11 branches in Metro Manila. For pick-ups, simply hand over your package to the rider. You'll be informed once the item arrives at our warehouse and passes our quality checks. We'll send you another notification once your refund has been processed or when your exchange item has been packed and shipped. How do return pick-ups work? To schedule a return pick-up, fill up the online returns form here and choose pick-up to schedule your free pick-up and reserve your exchange item for up to 10 days. Once the rider arrives, simply hand over your item (in it's original packaging) with either the: ZALORA invoice or the sales invoice and original receipt inside. ZALORA Processing When and Where do I get my refund? Wallet Credit 6-9 days Right Away! We'll send you a message. Credit Card Reversals 6-9 days You'll see the changes on your next billing statement. Debit Card Reversals 6-9 days You'll see the changes in your account in 30-45 days. GCash 8-12 days You'll get a message from our payment partner once the cash is ready. To cancel your order, head over to the "My Account" tab and click "Orders and Tracking" on ZALORA's website (This feature currently only works on Desktop). Once you locate your order number, click on "View/Edit Order" and hit the "Cancel Items" button. To cancel individual items, simply mark the check boxes next to them. To cancel the whole package, scroll down and click "Select All". Once done, click on "Cancel Selected Items". You'll be prompted right after we receive the request and will be able to see the status of your request on the same page. If your cancellation requests fail, it's most likely because the item you chose has already been packed and shipped. No need to worry if your package has already been packed/is out for delivery - for cash-on-delivery orders, simply inform the rider that you've changed your mind so that he won't collect your payment. Otherwise, return the order instead and we'll get you your refund. To use your voucher code, simply key in the coupon/voucher code in the "Coupon" section to apply the discount for the app, or type in the code in the on the right sidebar on your cart page. Why can't I use my voucher code? Sorry to hear that! Voucher codes are not applicable to the following items: 1. Items sold by third-party sellers; 2. Brands excluded from voucher codes and marketing promotions; 3.Non-sale items. How can I check my store/wallet credit? To check your store/wallet credit, head over to the "My Account" tab and your wallet credit balance will be shown under "My Wallet", or you can click this link (for Desktop).You can also track your transaction history and credit validity period here. Your wallet credit is valid for 3 years, if you forgot to use them before the expiration date, feel free to contact our Customer Service so we can reactivate them for you. To change your account details, go to "My Account" under the "My Account" tab, or click this link (for Desktop) or "Details" (for Mobile App) and click "Edit" to edit your details. To change your phone number, go to the Billing/Shipping Addresses column and edit your phone number under your chosen address. 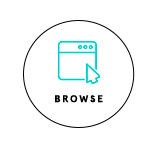 You can also message us via ZALORA Live Chat by clicking on the Help button at the bottom right side of your screen. For Facebook Chat Bot or Instagram Direct Message, please expect a reply within business hours.